Food Runners Collaborative is a joint venture of the Inter-Faith Food Shuttle and Meals on Wheels of Wake County, working to insure that no one goes hungry in our region. Food Runners was created in 1999 by these two organizations and then oversaw the construction of a new facility including a large commercial kitchen in Raleigh, NC, to serve the needs of these three partner organizations. 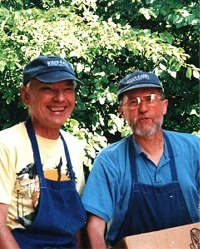 Today Food Runners operates the commercial kitchen and provides support facilities and services to enable its two partner organizations to focus on feeding the elderly, teaching new job skills to the homeless, providing food for children and working families through hundreds of local agencies, and making our community a better place for all our citizens. 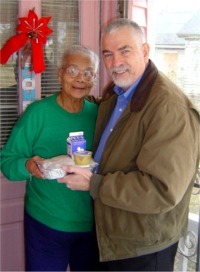 Meals on Wheels of Wake County delivers more than food – it delivers comfort. With a focus on delivering 1300 hot lunches each day, Meals On Wheels volunteers also bring the home-bound daily support and the peace of mind that someone will be checking on them. Meals On Wheels also offers meals in congregate settings for seniors who can come to a community center for food and fellowship. Every day the Inter-Faith Food Shuttle recovers, prepares, and distributes wholesome perishable food that food vendors and restaurants choose not to sell. Last year, the Food Shuttle delivered over six million pounds of food via safe sanitary distribution to the area’s poor, hungry undernourished and homeless. Recipient agencies include shelters, soup kitchens, after school programs, and food pantries. In addition the Food Shuttle provides a Culinary Job Training Program for men and women who are unemployed or underemployed helping them gain marketable skills.